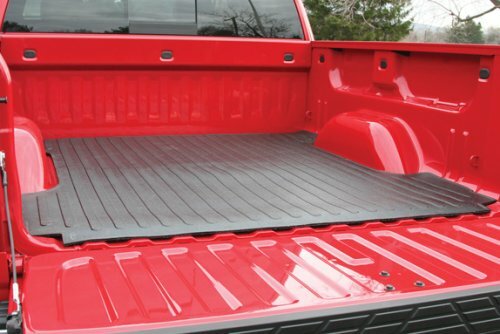 What Materials are Truck Bed Mats made of? When you have a pickup, the bed of the truck sees more action than any other part. 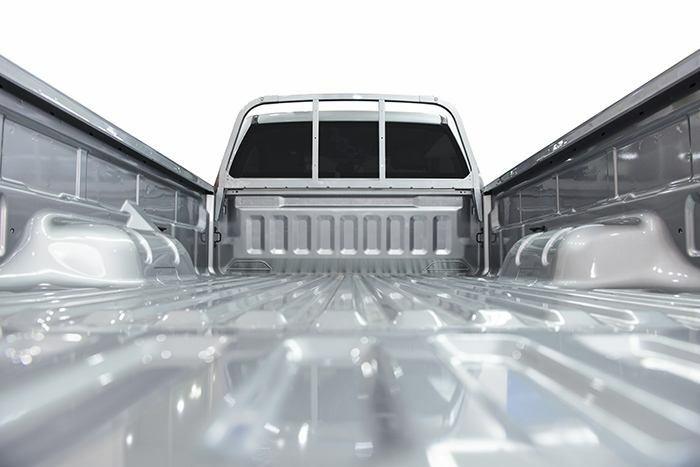 When unloading and loading cargo in the pickup, the bed is always under attack from wear and tear together with spills. When you take great care of the same, then you will protect the truck bed from the wear and tear. That can be done by using a quality bed mat for the truck. This is a mat which is installed in the pickup truck bed to protect the surface of the bed from scratches and dents, especially during the time you are loading and offloading cargo. it also safeguards the cargo when it the pickup is on the move. When you have the mat, it makes cleaning the pickup truck even easier. If you happen to get a quality mat for your truck bed, it will make it possible for your goods and cargo not to slip into the truck bed. Remember that, direct sunlight has the capability of damaging the surface of the bed and with the mat installed, it will help in making sure that, no UV rays from the sun reaches the surface. Maintenance fees will also reduce with the only disadvantage being that the mat will eat into some space on the truck bed. Dee Zee DZ86928 heavy weight bed mat is one of the best truck bed mats which ensures that the floor of your Ford F150. When you are loading and offloading of cargo in your truck, it will be able to protect it. If your vehicle faces any harm, you will feel as if your investment is hurting. It is a quality mat that is manufactured in the USA, has a thickness of 9.25mm and 5.5 feet. 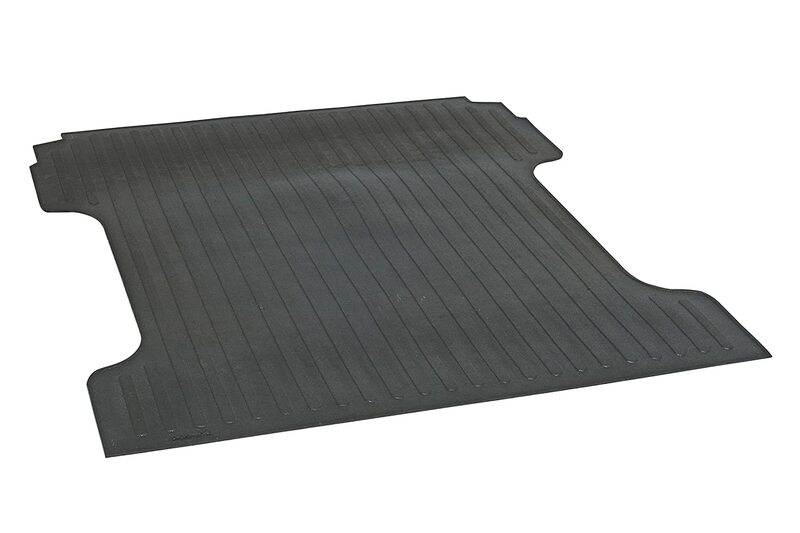 Truck Bed Mat for Silverado Chevrolet 2007 – 2018 is custom made for Chevy Silverado for years 2000 to 2018. They are made using the original templates or improved in order to be better in terms of coverage as compared to the old models. 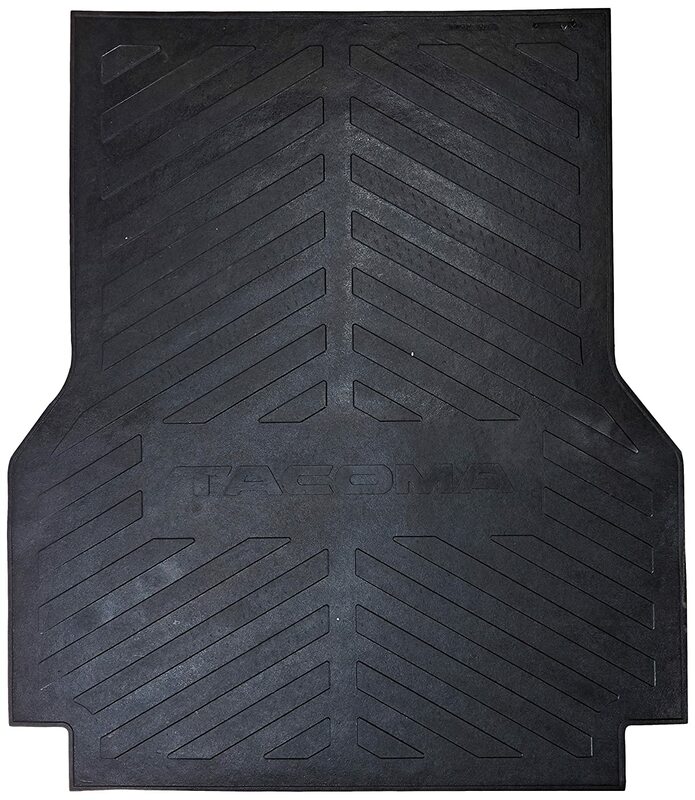 They are not universal floor mats for your truck but are custom made to your particular vehicle year of manufacture. You will be guaranteed to get a mat that will fit well or if you have once used this particular mats, then it means that what is currently in the market is an improved type. The surface is textured or pebbled to allow for a reduction in shifting when loading or unloading. Toyota Accessories PT580-35050 Bed Mat Tacoma Models could be one of the best for Toyota Tacoma. It is extremely thick and it rests on the top of the stock truck bed liner. It has good traction and thus, things won’t move from one place to the other. Your things will be intact and there will be no moving around. 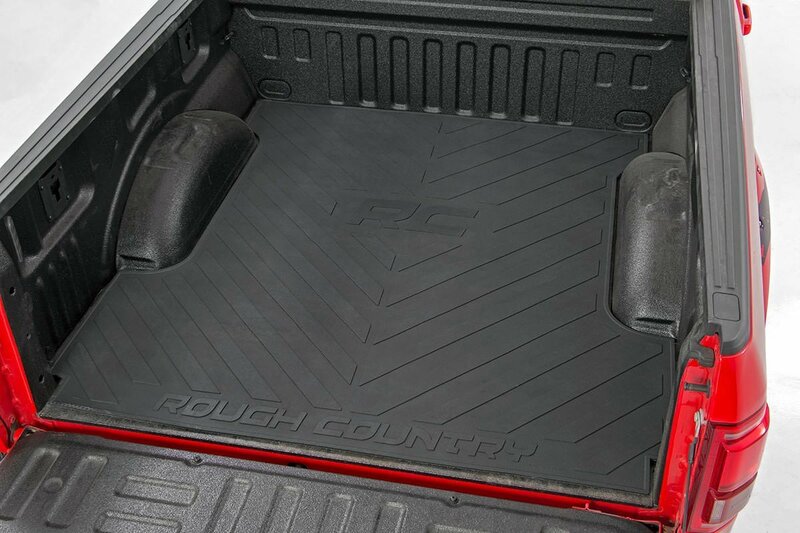 Rough Country RCM590 Truck bed Mat With Logo 07-18 Silverado/Sierra could be the best for GMC Sierra and 07-18 Chevrolet Silverado with beds of 6.5 feet only. If your is more than that, it will mean you look for another type. It is an extra thick mat and provides to up to 50 percent more protection as compared to other bed mats. When it comes to installation, it is easy and quick. It is made from durable Nyracord rubber construction and has undersides that allow for drainage and aeration to ensure that the truck bed is always dry and thus mildew and rust are prevented. It has a rough surface, thus providing great traction when loading and unloading goods and cargo. Carpet : Carpet mats are known to be stylish and thus, will protect and at the same time, add style to your truck as it protects the bed of the truck from grime and dirt. They are cheap when it comes to pricing, but they are easy to be stained. Compared to plastic and rubber, they are a bit thin and may not last for a very long time if you use your truck bed to haul heavy cargo. Rubber : Truck bed mats made from rubber could be the best, especially if it is recycled virgin rubber. This type is thicker especially when compared to the other types of rubber and thus, makes them provide better protection. Rubber can withstand extreme weather condition and doesn’t stain. It is capable of fighting UV rays and thus, it will make the fading of the surface to be minimal or none at all. When it comes to cleaning, rubber is easier to clean as compared to the carpet and plastic mats. You only need water and soap to ensure that the grime and dirt are completely removed. Plastic : Plastic mats are lightweight but they have a disadvantage when it comes to temperature regulation. When there is extreme heat, they can easily melt. You will need to make a choice of this particular material depending on what type of weather is in the area you will be staying most of the time. There are several factors you will need to consider before you decide which mat is the right one for you. The manufacturers are the ones who determine the size and shape of the truck mat of your vehicle. You will need to choose one with a size and shape which matches your truck bed dimensions. You can easily cut it to fit your perfect fit. You will need to get the exact dimension of the truck bed in order to make the perfect fit. If you don’t do it well, then it will not be able to prevent shifting cargo in a manner that is effective. Traction is very important when you are choosing a mat for your truck. It should be skid-proof which is necessary, especially if you want to keep the mat in position. When the position is maintained, you will also be able to control the cargo and thus, not be able to skid off the truck bed. If the surface is textured, it will be able to prevent the cargo from shifting even when you are driving the vehicle at high speed. If the cargo skids on the surface, there is a possibility of it damaging the items you are carrying and also the truck bed interiors. It should not matter what type of cargo you are shifting or hauling, you must make sure that the mat is durable. When you want to buy a mat for your truck, durability should be top of mind. Look at the materials which are used to construct it. Rubber and polypropylene are considered to be the best material. Depending on your choice, you will make sure that the truck bed is able to withstand unloading and loading of cargo which is heavy. This also makes it resistant to corrosion, abrasion, cracking, breaking, rust and tear. Ease of removal and installation on the bed of the truck is also something you will need to consider before purchasing a truck mat. It should be one that is easy to install, and also to remove when the need arises. There are some mats in the market which require fasteners or some kind of adhesive or bolts which are designed to fit into pre-drilled holes in the bed of the truck. Ensure that, what you buy is resistant to spills and stains as this makes it easy to maintain and clean. Depending on the brand and choice of material, the warranty will vary greatly. I will recommend that you go for brands with a good coverage, but without having to have an impact on the price. The warranty varies from state to state, country to country and thus, it is advisable that you gain awareness about it before you make a choice. Quality of the material will determine the price of the mat. If it is carpeted material, then it will be cheap, but it will not last for long. If they are made from rubber and plastic, then you will find them quite affordable. If you are on a tight budget, I would advise you buy mats which are made from recycled rubber because, even though they are cheap, they offer good protection to the truck bed. The type of weather where you reside is very important before you decide on your truck bed mat. If you come from a place which is very hot, you will need to avoid choosing mats made of plastics as they will easily be damaged. If you come from somewhere it snows and rains heavily, you will need to choose mats which are capable of withstanding such extreme weather conditions. A good quality truck bed mat needs to be protected for it to protect the bed of the pickup from being damaged. Even though they protect the truck, they are capable of attracting a lot of debris and dust. If you do regular cleaning you will be able to remove grime and dirt. If grime and dirt are left to accumulate for a long time, they will definitely cause corrosion. Before you start the cleaning process, you will have to ensure that all the cargo is removed from the truck bed. In most cases, the cleaning process comes with an instruction manual on how to clean and thus, you will need to use that. You will have to wash the mat using water and soap. You can as well use a microfiber cloth to make sure all the excess water is removed after the mat is completely washed. If you have already chosen a mat which is easy to install, make sure that it is of the appropriate size. Avoid using chemicals which are harmful to your mat. Don’t apply any acid to clean and wash the mat as harsh chemicals are capable of damaging the mat and it can cause it to develop cracks. Avoid unloading and loading sharp objects directly on your truck mat. Do the cleaning of the truck mats using water and soap. It will be able to help in removing grime and dirt. You will have to do a harder wash in order to remove stains from spills which normally accumulate on the bed of the truck. 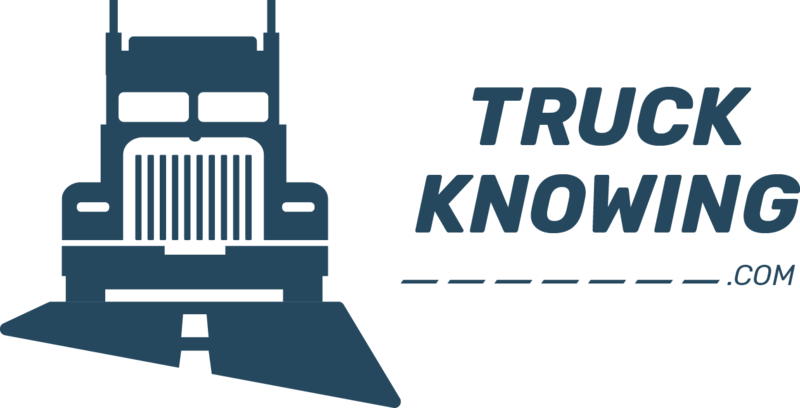 Ensure that you know your specific hauling needs before choosing the truck bed. If you haul heavy cargo, it is best to choose mats which are thick. Remember that, purchasing a truck bed mat is a great investment and thus, the need to consider all the benefits and features before making the choice. After reading all the above, am sure it will help you to buy the right truck bed mat which can make the process rewarding and simple. My choice is Dee Zee DZ86928 heavyweight bed mat due to the fact that, I have a Ford F150 and I have been using this particular mat for quite a long time.